FOX has ordered yet another new TV show for the 2014-15 season. Empire revolves around the world of hip hop with Terrence Howard starring as industry heavyweight Lucious Lyon. He’s a tough but wise patriarchal figure. The show’s cast will also include Taraji P. Henson, Gabourey Sidibe, Trai Byers, Kaitlin Doubleday, Grace Gealey, Bryshere ‘Yazz the Greatest’ Gray, Jussie Smollett and Malik Yoba. ·	Description: Unique family drama set in the world of a hip-hop empire that will feature both original and current music. No word on how many episodes have been ordered or when the series will air. We should know more in the coming week. What do you think? Do you think that you might watch this FOX show next season? For sure, Taraji and Terrence, what a combination. 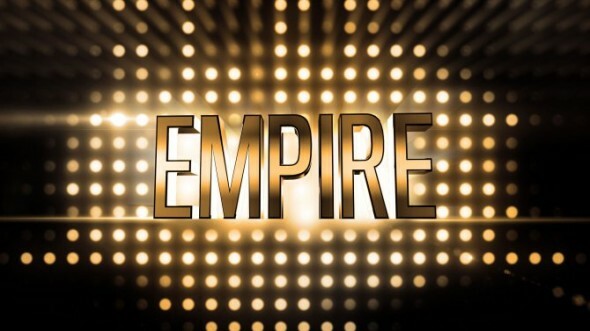 I will watch “Empire”. I like watching Terrance Howard in movies and T.V. shows. I liked him in “The Best Man Holiday”. Well I’m tuning and to support this new TV drama!!! love Terrence Howard. hate hip hop ********. will watch empire cant wait. They cancelled Almost Human for this? I’ll pass, sounds boring already. Almost Human is canceled?!! You mean Kevin Reilly finally dared cancel one of his flops?!!! Good for him! I agree with both other comments. Sounds dreadful. FOX needs to get new people picking their shows or they’ll have to keep spinning their flops forever. Just what the American People need that “Hip Hop” Bull Sh_t it is not music and not dancing. How about some thing educational for a change…. Just because you don’t like Hip Hop doesn’t mean you have to insult it. I’m not the biggest fan either but I respect it as an art form. How the mighty have fallen. May Terrence Howard’s career rest in peace.